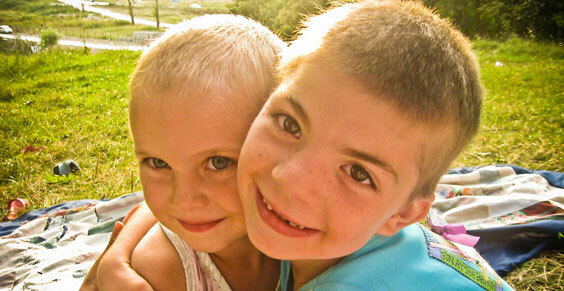 The Hand of Help Orphanage is located in the Romanian town of Botosani. The town has 90% unemployment which has caused great hardships. Many children come to the orphanage because their families can no longer take care of them. The orphanage currently cares for ninety orphans. The Hand of Help ministry is able to clothe, feed and offer a helping hand to the children because of the gifts that support this ministry. As you browse through the Hand of Help web site you will see the smiling faces of children who now have hope. They are loved and taught the Word of God. Please consider helping or sponsoring one of these precious children. If you want to learn more about sponsorship please e-mail us at handofhelpoffice@aol.com. Over the years the Hand of Help Ministry has offered an out-stretched hand to the community. Families have been sponsored to come to America to re-build their lives. Other families in the area have been helped by receiving food, clothing, medicine and much needed financial gifts. Each year containers of goods are sent to the Hand of Help orphanage to distribute to children and families. You can be assured that your gifts are greatly appreciated by these humble people. The government is not able to provide the necessary funds to care for those in need. They must have our help. The Hand of Help Ministry has programs which specifically support the community. For more information you can call Hand of Help Ministries at 1-866-371-7636 toll free. Over 50 churches have been built and funded all across Romania by the Hand of Help Ministry. Here are just a few of the cities where churches have been built.